Petaluma, CA – A few days ago we briefed you on what’s happening this winter in the Lake Tahoe region spanning California and Nevada. 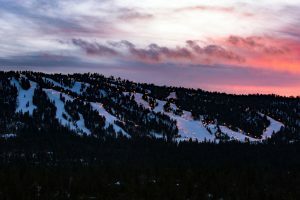 Now, here’s a roundup of what’s new this season at ski resorts throughout the rest of California, from north to south. Inspired by Travis Rice’s legendary backcountry snowboard events, Mammoth Mountain is enhancing its hike-accessed Hemlocks Ridge powder playground by building jumps and platforms out of snow throughout the massive bowl, allowing riders to pick a line with more flow and airtime. The Unbound Terrain Park crew will work to choose locations for these enhanced natural features. This is also the 20thanniversary of the Unbound Terrain Parks; throughout the 2016-17 season, Mammoth Mountain will be celebrating the history of Unbound and recognizing the impressive achievements of the present through events, parties, on­-hill activities, and digital storytelling via #20yearsofUnbound. On the event front, Mammoth will host the US Freeski and Snowboard Grand Prix halfpipe and slopestyle competitions for snowboarding and freeskiing, February 1-4. The 2018 US Olympic Snowboarding Team will be named at Mammoth following the 2017 Grand Prix. Bear Valley has enhanced its snowmaking and grooming operations this winter. Improvements include a better and more efficient snowmaking system, new snowcats to groom the increased production of snow, and an upgraded pumping capacity to the snowmaking holding pond at the top of the mountain. This important improvement will allow uninterrupted operation of snowmaking for weeks at a time, translating into more snow production. In conjunction with the pumping enhancements, Bear Valley is installing a state of the art, fully automated snowmaking control system along with the addition of automated snowmaking towers on the mountain. Automation will provide the ability for the system to respond to optimal temperatures for more efficient snowmaking. Dodge Ridge welcomes the season with improvements to its rental and demo equipment and learning program. Featuring skis from Rossignol, Blizzard, Nordica, and Völkl, and snowboards from Burton, Dodge Ridge’s demo fleet is better than ever. Dodge Ridge’s improved lesson programs include: An Intro to Snow program that provides gentle one-on-one introduction to skiing or snowboarding for kids as young as two years old; Kinder Club, tailored to beginner skiers and riders aged 4 and 5; Kid’s Club, offering full day and half day lessons for ages 5 to 12; and the Progression Pass for guests ages 13 and over, which offers a season’s worth of unlimited beginner lessons, rentals and a lower-mountain season pass. Dodge Ridge’s Master’s Clinics invite veteran skiers, 50 and older, to fine tune their skiing skills in a relaxed, social atmosphere; workshops are offered twice weekly throughout the 16-17 season, starting in mid-January. China Peak has beefed up their grooming fleet with another winch cat, purchased a fixed quad chair for installation in 2017, and completely revamped their food/bar venues and menus, adding decks, additional outlets, exciting new offerings, and expanded bars. Additionally, the resort has added more webcams around the mountain to give guests a better look at the latest conditions. 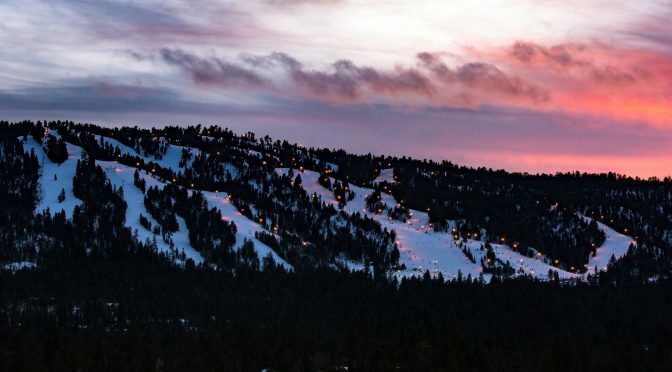 Entering the second full winter of operation under Mammoth Resorts’ ownership, Big Bear Mountain Resorts (Snow Summit and Bear Mountain) continue to evolve. Mammoth Resorts’ continued investment will be evidenced in 2016-17 by a number of improvements at both resorts, including behind-the-scenes facilities upgrades and guest-facing enhancements that will be ready when the season kicks off. The Summit Kids Center is a new, efficient, 3,000 square-foot learning center at Snow Summit offering rentals, tickets, and sports school registration. The newly renovated Methods Sports Bar at Bear Mountain’s main lodge is joined by a new 30-foot rock climbing wall, located in Basecamp, that will remain open through the winter, weather permitting. This year also marks the 20th anniversary of Snow Summit hosting the inaugural Winter X Games, which both resorts will celebrate with a variety of activities, both on and off the slopes, that pay homage to Snow Summit’s place in action sports history. And if you’re looking for a job in the ski industry this winter, Snow Valley is hosting job fairs at the resort from 9 a.m. to 1 p.m. on both October 29 and November 5. If your parents always said being a liftie is a dead-end job, remind them that Snow Valley’s general manager started there in a minimum wage position!